Left to right) Thor Hegg Eriksen - President of the Offshore BA of Trelleborg, Louise N. Anderson - General Consulate of Sweden, Riverton Mussi - Mayor of the city of Macaé , Julio César Carmo Bueno - Secretary for Economic Development, Energy, Industry and Services, Fredrik Meuller - President of Trelleborg Offshore & Construction, Conceição Ribeiro – President of CODIM, Luiz Edmundo Costa Leite – State Secretary for Science and Technology. A global manufacturer of polymer and syntactic foam-based solutions for the offshore oil and gas industry, Trelleborg officially opened its newly constructed facility in Macaé, Brazil, on 13th September 2012. To support offshore customers in their quest to reach greater subsea depths, the new facility boasts the largest hydrostatic pressure testing vessel in the world. Trelleborg’s President for Offshore and Construction, Fredrik Meuller, commented: “As a business we have a continued long-term strategy to invest in markets with encouraging growth potential. Following the major oil and gas discoveries that have been made off the coast of Brazil in recent years, it is a logical step to increase our presence and customer support in this key region. Thor Hegg Eriksen, Business Unit President of Trelleborg Offshore, continued: “We are pleased to be officially opening our brand new state-of-the-art facility, a move which will enable us to locally develop, manufacture and supply the high-performance thermal insulation and buoyancy solutions currently being offered to our global customers, in turn bringing us closer to the action and our customer base in Brazil. The inauguration on September 13 was attended by guests from all over the world, including local Government officials and key customers, as well as management and personnel from Trelleborg. Trelleborg’s site is located in the coastal city of Macaé, which is approximately 180 kilometers north of Rio de Janeiro, and known as Brazil’s ‘oil capital’. It will develop, manufacture and supply Trelleborg Offshore’s complete product portfolio, including a wide range of high performance polymer-based solutions for offshore topside and subsea oil and gas exploration, such as insulation tape and buoyancy products. 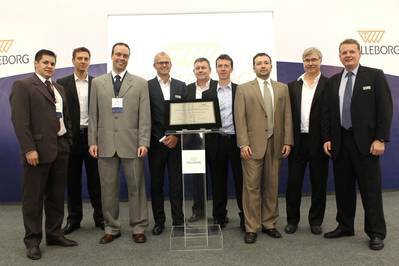 This new facility will add to Trelleborg’s already strong presence in Brazil. Last year, through its Trelleborg Engineered Systems business area, Trelleborg acquired a business that focuses on specially designed oil hoses for surface and deep-sea applications located in Santana de Parnaíba. Trelleborg will be inaugurating this and a new co-located facility for its printing solutions in October 2012. Trelleborg Wheel Systems supports agriculture with high-end tires designed specifically for the well-deployed and large agriculture sectors like soy beans, corn and sugar cane, as well as industrial tires for the growing forklift sector. Its main sales offices are located close to Lençóis Paulista and São Paulo, which is also home to the Trelleborg Wheel Systems headquarters for Latin America. Trelleborg Sealing Solutions has a manufacturing facility and sales office in São José dos Campos that develops, manufactures and supplies high-performance sealing solutions for aerospace, automotive and for industrial applications. 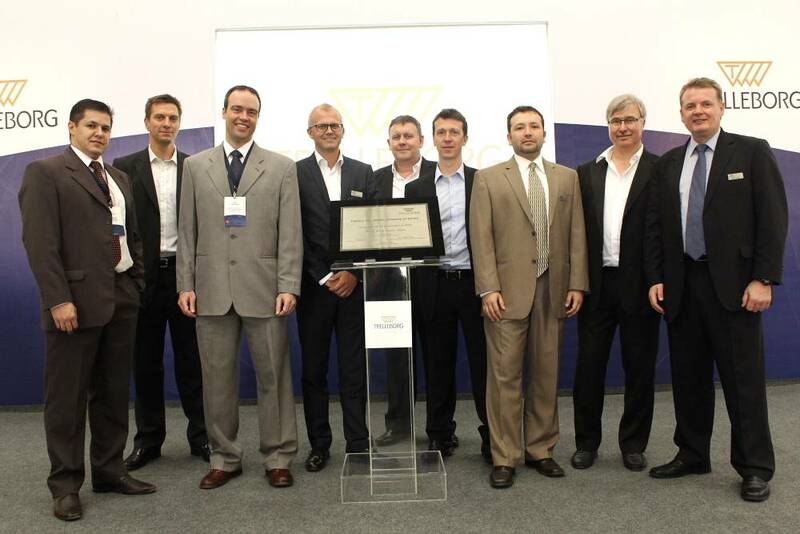 There are also major automotive facilities in the strategic locations of Guarulhos and Taubaté that are part of TrelleborgVibracoustic, the joint venture in antivibration solutions for light and heavy vehicles.